Each year, Hubspot surveys more than 4,000 B2B and B2C marketing professionals around the globe and across a wide swath of industries to get their views on what marketing strategies are most effective, not theoretically, but for their businesses. They publish the results of those surveys in their annual "State of Inbound" reports. 68% of business which primarily use inbound strategies said their marketing strategy is effective, compared to 48% of outbound marketers. 59% of marketers said their best (read, highest quality) leads came from inbound marketing practices, compared to 16% who said the same about outbound strategies. First, inbound marketing didn't happen because marketers, on a whim, wanted to try something new. Marketing changed because consumers changed. They became increasingly frustrated with outbound strategies (like telemarketing and TV ads) that seemed to care more about profits than about them. That's why, over the past couple of decades, they began registering on "do not call" lists by the millions, and why an increasing number of them started fast forwarding through television commercials. Said differently, consumers began to distrust marketers. Smart marketers understood this change and responded with a new marketing paradigm, one which seeks to establish trust before talking sales. They establish trust by providing consumers with content they can use to solve their problems and help them make informed buying decisions. "Inbound marketing is focused on attracting customers through relevant and helpful content and adding value at every stage in your customer's buying journey. With inbound marketing, potential customers find you through channels like blogs, search engines, and social media.Â Unlike outbound marketing, inbound marketing does not need to fight for potential customers attention. By creating content designed to address the problems and needs of your ideal customers, you attract qualified prospects and build trust and credibility for your business." A central tenet of inbound marketing is the need to establish realistic, achievable and measurable goals. Said differently, if you don't set goals, you don't know if your marketing is effective, and you don't know if or when you need to tweak your marketing strategies to improve performance. The first step on any journey is to know where you're starting from. If you know where you are, you have a better sense of whether a goal is attainable. For example, if you're currently obtaining 100 new business leads a month, it's probably unrealistic to set a goal of 1,000 new leads within 3 months. In general, goals should be numerical, and those numbers should be specific. If you set fuzzy goals like, "increase customer satisfaction," how will you know if you've achieved them? In addition to making your goals specific, you need to identify who in your organisation is principally responsible for achieving the goal, what your completion date is, any resources you'll need, and how attaining this goal will move your business forward. If you want to generate an additional 300 inbound leads over 6 months, you'll need to increase leads by about 50 a month. In other words, you need to monitor your progress towards the achievement of your goals. If you're not making adequate progress towards your goal, you'll know that you need to tweak aspects of your strategy to pick up the slack. Consistently failing to make adequate progress could be a sign that your goal is unrealistic. Odds are there are a lot of things you'd like to do to improve your business, but some goals are more important than others. For example, increasing sales revenue is far more important for the future of your business than increasing downloads of a new white paper. Start by asking yourself where you want your business to be in a year, or in 5 years. Which goals are most relevant to helping you get there? Create a list of all your goals, and then rank them by their importance to taking your business where you want it to go. Even if you have some familiarity with inbound marketing, setting and achieving your goals can be a challenge. Your best bet is to partner with an experienced inbound marketing agency with the experience to help you make informed choices and implement smart strategies. 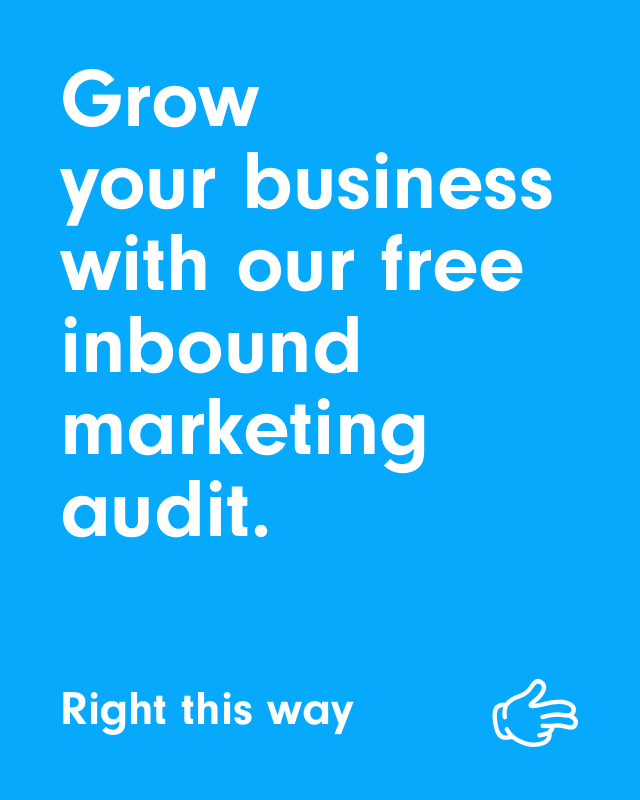 To learn more about the ways our inbound marketing, growth-driven design and software development services can help you achieve your primary goals, drive sales and grow your business, contact us today.